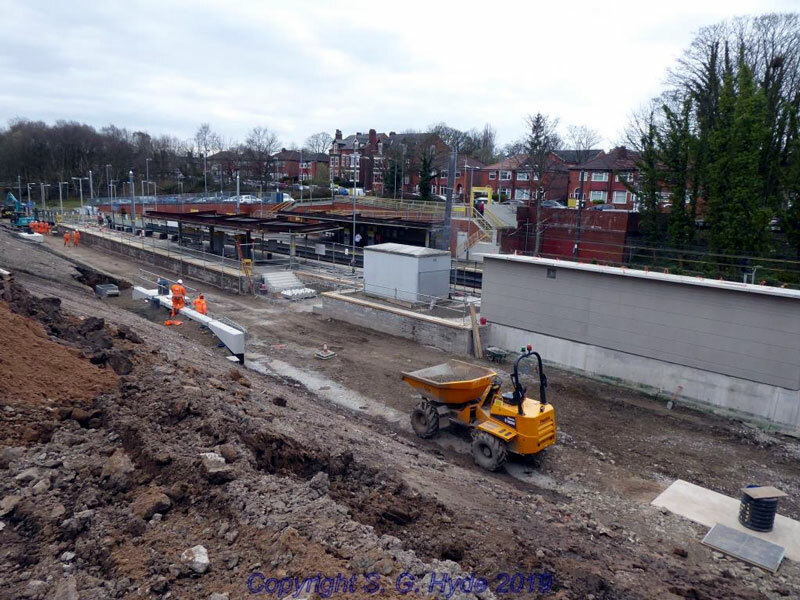 In this general view from Crumpsall Lane we can see the new platform face for the siding along with the new building. Also visible is a set of steps which will give access to the platform from a new entrance off Crumpsall lane. Ramped access is also to be provided.